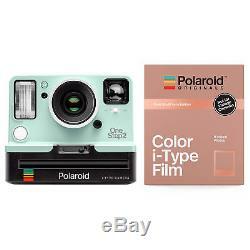 Polaroid Originals 9007 OneStep 2 VF Instant Camera (Mint) and Rose Gold Film. Condition: Brand New in Original Packaging. What's in the Box. 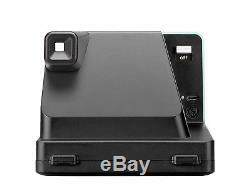 Polaroid Originals OneStep2 VF Instant Camera (Mint Edition). 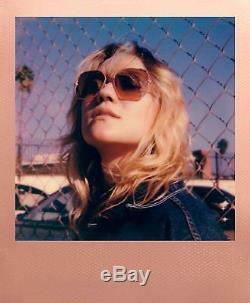 Polaroid Originals I-Type Instant Film Rose Gold Edition. 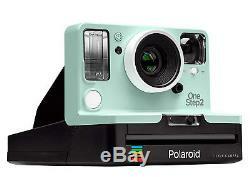 Polaroid Originals OneStep2 Viewfinder i-Type Camera (Mint Edition). Inspired by the original OneStep camera from 1977, the Polaroid Originals OneStep2 Viewfinder i-Type Camera is a modernized analog instant camera delivering instant photos with a retro vibe. It takes a moment and turns it into something you can hold, something you can share, something real. 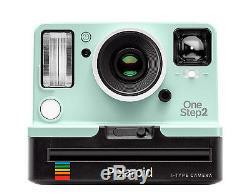 Simple in use, the one-step camera captures a unique image every time - which is the essence of Polaroid photography. And with the built-in strobe flash and high-quality 2' to infinity lens, you can be sure every shot is simply amazing. Choose from the range of film and frames offered in the i-Type and 600 Film varieties for instant mood and a dose of personality. Plus with its long-lasting rechargeable battery, you'll always be ready to shoot, whether you're on a brief excursion or a journey round the world. 60-day battery life - Rechargeable via USB. Tripod mount on the camera base. Fixed focus lens / 0.6m - infinity. 41 degrees vertical, 40 degrees horizontal FOV. Coated optical grade polycarbonate and acrylic lens. Vacuum discharge tube strobe flash system. 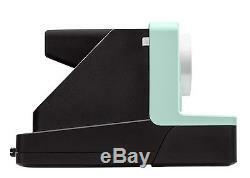 Compatible with i-Type and 600 Polaroid film. Self-timer function and 60-day battery life. Tripod mount on camera base. Are you someone with champagne tastes on a beer budget? 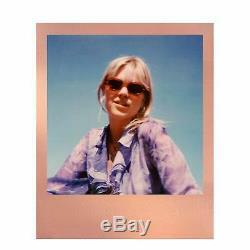 Its why Polaroid made this special Rose Gold Frame Edition Color i-Type Film. 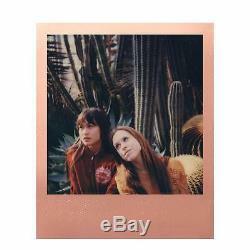 Made just for i-Type cameras like the OneStep 2, it captures your instant photography in a stylish Rose Gold frame, adding a touch of opulence to each Polaroid picture. So whether youre shooting a sunset scene on the coast of Cannes, or just trying to get a family photo at the barbecue before cousin Larry takes his shirt off, all your photos will have an added touch of class. It might look familiar, but this film is all new. 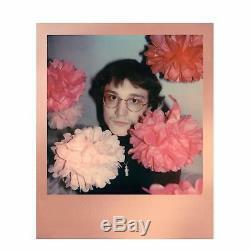 It uses Polaroid's most advanced chemistry to provide richer colors, tones, and contrasts than any Polaroid film before it. Temperature affects how the film works. Keep it stored cold in the fridge, but never freeze it. Ideally you should let it adjust to room temperature before you use it. When its cold out, keep your photos warm in a pocket close to your body while they develop. Or if its a hot day, make sure they stay cool. The more light in your shot, the better your photo will turn out. 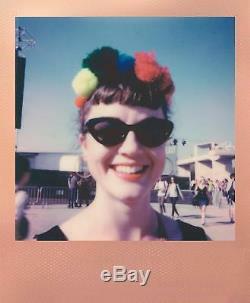 Instant film loves light, especially natural light. Use the flash for all your indoor photos. For best results Polaroid also recommends using the flash for outdoor shots, unless its a bright sunny day. All photos appear blank at first. Theyre most sensitive during this time, so dont bend or shake them. Shield them from the light, and place them face down as they develop. Keep B&W photos shielded from light for about 1 minute, and color film for about 6 minutes. Your camera has a set of rollers inside the film door. Each photo passes through these rollers as its made, so its important to make sure that they stay clean. If the rollers get visibly dirty then gently wipe them down with a soft, damp cloth. I-Type only - Sorry, 600s. F There are product categories which are not returnable due to hygienic or sanitary as required by manufacturers. In an event where there is an error regarding a price error or description, we will notify you ASAP. Items removed from their'blister-pack' display packaging are non-refundable. Please let us know how we can make yours a five-star rated one too! Our goal is to make sure you are customer 100% satisfied with your order. 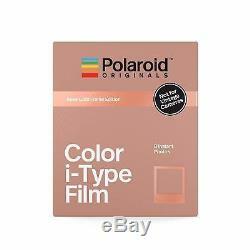 The item "Polaroid Originals 9007 OneStep 2 VF Instant Camera (Mint) and Rose Gold Film" is in sale since Wednesday, August 29, 2018. This item is in the category "Cameras & Photo\Film Photography\Film Cameras". 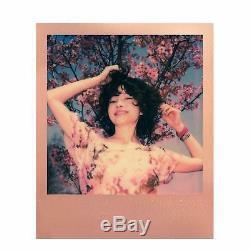 The seller is "focuscamera" and is located in Brooklyn, New York. This item can be shipped to United States, Canada, United Kingdom, Mexico, Germany, Japan, Brazil, France, Australia, Denmark, Romania, Slovakia, Bulgaria, Czech republic, Finland, Hungary, Latvia, Lithuania, Malta, Estonia, Greece, Portugal, Cyprus, Slovenia, Sweden, South Korea, Indonesia, Taiwan, South africa, Thailand, Belgium, Hong Kong, Ireland, Netherlands, Poland, Spain, Italy, Austria, Israel, New Zealand, Philippines, Singapore, Switzerland, Norway, Saudi arabia, Ukraine, United arab emirates, Qatar, Kuwait, Bahrain, Croatia, Malaysia, Chile, Colombia, Costa rica, Dominican republic, Panama, Trinidad and tobago, Guatemala, El salvador, Honduras, Jamaica, Antigua and barbuda, Aruba, Belize, Dominica, Grenada, Saint kitts and nevis, Saint lucia, Montserrat, Turks and caicos islands, Barbados, Bangladesh, Bermuda, Brunei darussalam, Bolivia, Ecuador, Egypt, French guiana, Guernsey, Gibraltar, Guadeloupe, Iceland, Jersey, Jordan, Cambodia, Cayman islands, Liechtenstein, Sri lanka, Luxembourg, Monaco, Macao, Martinique, Maldives, Nicaragua, Oman, Peru, Pakistan, Paraguay, Reunion.